NumberFire generously has given all PlayingLegal Readers a generous discount on the first month subscription price at any package level. 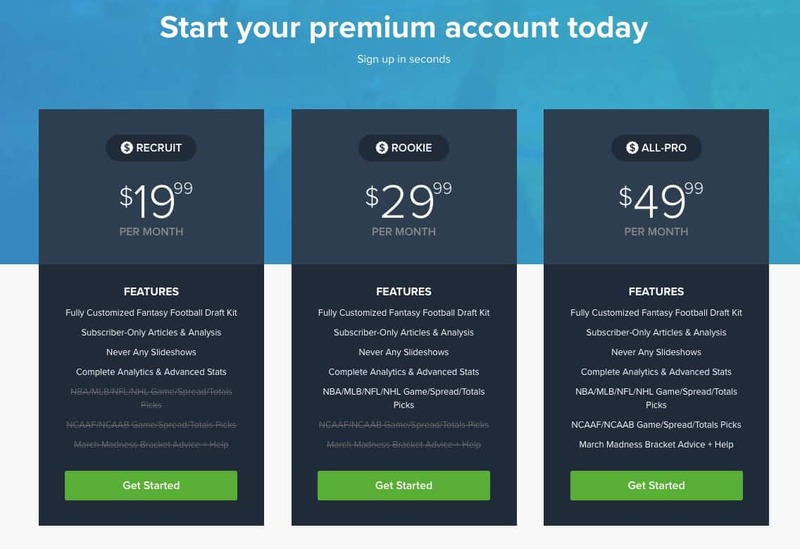 All package levels are just $9.99 for the first month! That's a $40.00 saving on the Pro Plan! Enjoy your first month for just $9.99! NumberFire holds several business partnerships with elite sports companies such as Sports Illustrated and ESPN to bring predictive analytics to sports. 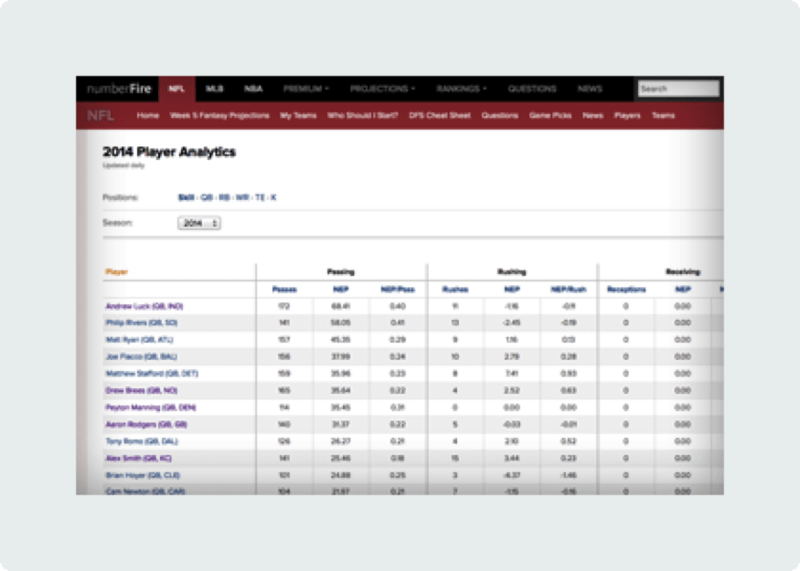 The all new numberFire Live features an advanced platform specifically for sports that uses both digital data models with complex analytics. This unique system can track games, statistics, and trends in real time to give users the best possible outcomes. ● Probability: This NumberFire feature creates winning odds after every play. One of the greatest advantages of NumberFire technology is its ability to update with new and historical data consistently. Statistics is the easiest way to predict any given possibility, and information models through numberFire perfectly handle organizing and optimizing data for the latest up to date analysis. Whether sports fans are trying their hand in daily fantasy sports, race betting, or wagering on sports, numberFire serves as the top data companion. The trending game of fantasy sports now has over 57 million people playing in at least one league. With even more people likely to join in the future, numberFire’s cutting edge technology will optimize the fantasy sports experience for all users. Another great feature offered to fantasy sports participants is the “Q&A panel,” which allows all numberFire members to communicate with each other and customer support. Feedback is one of the greatest ways to update a successful system, and numberFire encourages all members to ask any possible questions that come up from day to day. Through a crowdsourcing platform, members will have relevant questions, comments, and answers pop up on their numberFire newsfeed for additional help. Where Does That Leave Fantasy Sports Players? By using NumberFire, fantasy sports players can get accurate projections of any player they are looking to draft. The numberFire system accounts for a number of game impacting variables including past statistics, scoring opportunities, and salary efficiency to precisely predict how many fantasy points any given athlete is likely to score. Fantasy sports participants can also upload and import any of their fantasy teams to numberFire to save time on optimizing their squads. Fantasy sports writers and bloggers also have the advantage when writing with numberFire. This platform allows for specific widgets and other usable tools to help craft articles with real statistical analysis. Which Sports are Covered by NumberFire? The original numberFire technology was designed specifically for football. However, numberFire is now just as effective predicting player projections for the NBA, NFL, and MLB. Users can get detailed analytics for all of their favorite players and appraise each athlete's appropriate value. NumberFire technology centers around three types of statistical modeling that mesh into a prediction. The first method of modeling comes from individual player statistics. A player that is being analyzed by numberFire will have several characteristics that the software will compare to other similar players. Value and effectiveness are calculated looking a number of variables such as workload percentage, past performances, scoring probability. The second level is analyzing matchups. In this level of modeling, the system looks at patterns created by offenses and defenses when playing a specific opponent. Coaching strategies and other positive trends are compared with statistics and rates of running play types. The third and final level of modeling is considered the “similarity score.” This specific score is given to both players and teams in which they are similar or comparable to another. A similarity score helps predict the right value when preparing to draft an athlete. After all three models are complete, the collected data is run through a predictive algorithm. The algorithm tabulates all of the statistics to give a raw value for each player or team. The power of numberFire technology allows for players both amateur and professional to accurately predict future games or events. No more issues on who to play and who to sit. Additionally, daily fantasy sports players can create a variety of winning lineups using NumberFire Live. The price for NumberFire can vary depending on the degree of analytics. Although there is a subscription cost for premium features, the cost of numberFire technology is FREE to all new members. The platform is still consistent via the basic free package. However, there are several key benefits for those who wish to sign up as a paid subscriber. What Are the Benefits of NumberFire Premium? ● Access to all the premium statistics and research tools available on NumberFire. ● Optimize your lineups on numberFire using its algorithm technology available on desktop or mobile. In our NumberFire Review we are obviously also looking at the price-tag. ● All types of personal data will be displayed with a description to notify users of changes. This includes names, ID, password, or payment information for subscription members. ● The policy explains how all personal information like seen above is withheld from any third party business partners and is kept safe with discretion. ● All user content such as comments or questions are stored safely for informational records. ● Explanation of IP address information and how the website utilizes this data. ● Any information that is collected is also used for advertisements and promotions that fit the user. As fantasy sports continue to grow around the world, numberFire technology is the best data tool for rising to the top. Not only does numberFire dramatically increase your chances of winning big, but the fantasy companion boosts the overall experience while still enjoying the game. 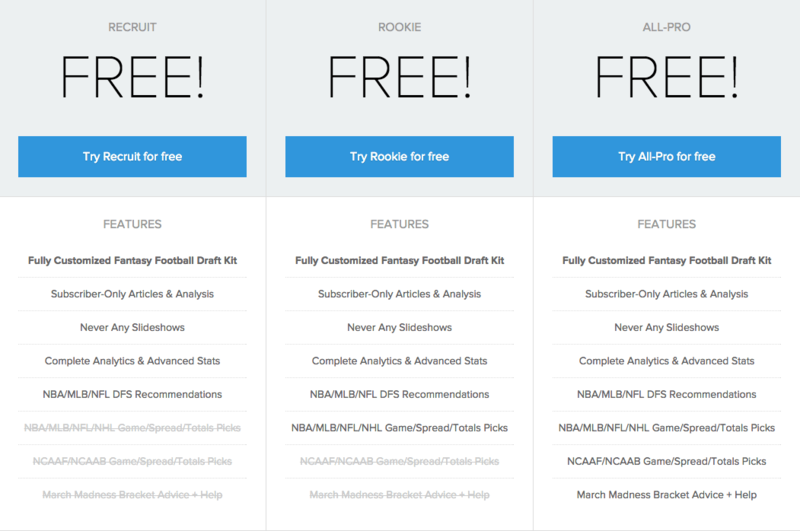 Join the exhilarating trend with the most optimized teams by trying numberFire for free. If you are interested in the premium package, data analysis, and sports journalism has met its professional tool to get there. If you want accurate mathematical projections to predict sports performance, there is nothing better for the cost than numberFire. "NumberFire uses mathematical modeling for data comparisons on past events and statistics to compile a predictive projection on Fantasy Sports that is dead accurate."